Skye Gravestones | Alexander & Morag (MacCorquodale) Fraser. Alexander & Morag (MacCorquodale) Fraser. 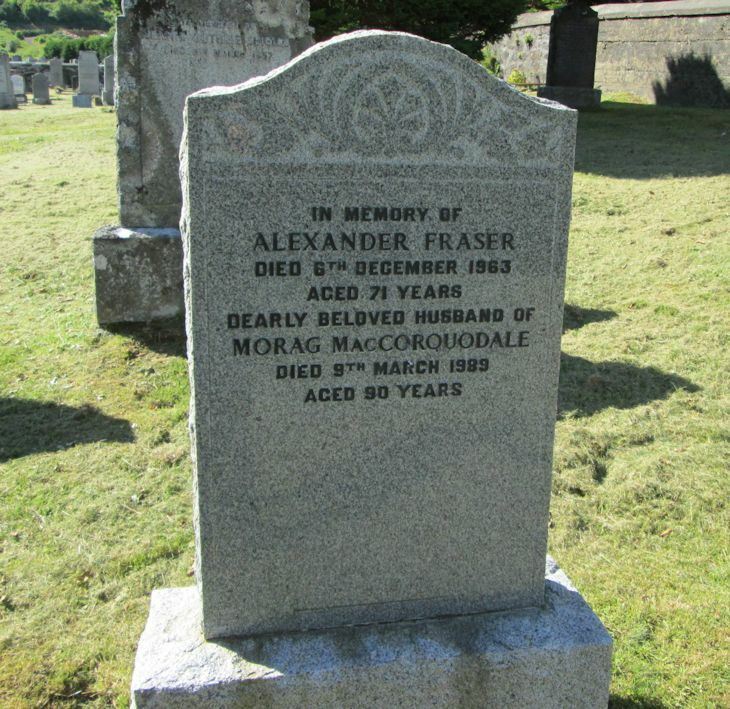 In memory of/ALEXANDER FRASER/died 6th December 1963/aged 71 years/dearly beloved husband of/MORAG MacCORQUODALE/died 9th March 1989/aged 90 years.